An opinion is shared by Bork, who stresses on learning over teaching. In his opinion, the currently prevailing information transfer educational paradigm, whereby the teacher transfers data to often inert students should be altered. In his opinion he states that the future lies in the tutorial learning paradigm, in which learning is seen as an active process where learners play the leading role. This paradigm focuses on learning in smaller groups with the support of a tutor. The crucial elements of the tutorial learning paradigm are interactivity, individualization, adaptability, creativity, collaboration etc. (Bork, 2000). Although the learner-centered paradigm is not a new idea, the traditional teacher-centered information transfer paradigm is still mostly in use nationwide. Assignments are a fundamental part of the grading system and students have to deal with them across several subjects in the course of their studies. 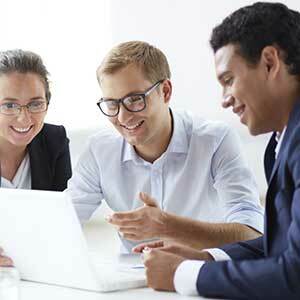 Submitting assignments which would have been done thoroughly is a sure way of attaining high grades. However, most times, students may find it challenging to write their assignments either due to the complexity that is involved or due to their reduced understanding of the topic at hand. Online assignment help services can be engaged under such circumstances. Not only does it help students to complete their assignments timeously but it also ensures a better understanding of the topic at hand. An often cited classification made by Berge defines four basic roles of an online tutor: pedagogical, managerial, social and technical (in McPhearson&Nunes, 2004). In the first role which is the pedagogical role, tutors are the ones who support the learning process itself. They do this by providing instructions, stimulating questions, examples, feedback, motivation etc. to the learners (Teles et al., 2001). Therefore, in this educational role, learners are able to be imparted with the essential academic tools that they need and that are able to assist them to attain better grades. Themanagerial role requires the tutor to perform basic course administration,track student progress and data etc. (Teles et al., 2001). This precisely fits the academic plan that is suitable for students as whole. Particularly the tracking of the progress of the student is crucial and will monitor how the students will be performing. This will surely improve the grades of the students. The tutor's social role includes the efforts to establish a friendly and comfortable environment and a community that stimulates learning. One of the very important aspects in the learning process is the learning environment. The appropriate learning environment ensures composure and the rightful mindset for the learning process to take place. This will also develop the academic skills of the students. The technical role requires the tutor to acquaint the students and himself/herself with the Computer packages that are used for e-learning, and also to provide some technical support to the students (McPhearson&Nunes, 2004).The diverse forms of delivery that come along with online academic services are also an important tool in improving the students' understanding. Having several ways of conveyance of information will also broaden the way that students think and thus improve their grades. Assignment help including essay writing, tutoring, case studying, research proposals, to mention just but a few, are some of the services that students are able to get in order to improve academically. With this kind of assistance, time which would have been otherwise spent in trying to complete the assignments is saved. This is an advantage to students in that they will even get more time to study and focus on their other academic areas of concentration. Online tutors who offer services that include assignment help, online tutoring, homework help, project help, thesis writing, essay writing to mention just but a few, do play an important role in supporting e-learning delivery and improving the grades of students. Online tutors help to fulfill student expectations that can cause students to drop-out if they remain unmet. This is especially important for part-time students that apparently do not get sufficient support from traditional learning. Because of the importance of the role of online tutors, it is necessary for these tutors to possess all the four roles mentioned above. Only well-trained tutors will be able to satisfy student expectation about the quantity, frequency and quality of learning supporting activities. Tutoring, being an age old practice is still one of the most effective ways of assisting students to be independent and above all, to be self-paced and self-directed. The expansion of the information technology sector has paved a way for tutoring in most parts of the world as it is made easier. Therefore, not only does a tutor's assistance help studentsachieve their academic potential, but it also boosts the self-confidence of students as a whole. A tutor's assistance is most significant in several areas of academic concentration including more advanced stages like dissertation writing. A dissertation can be defined as an important research document in a student's academic life. Dissertations are crucial research documents which must be written in accordance with the guidelines of the concerned university or educational institution. It is a relatively exceptional piece of writing since only aninsignificant percentage of students advance for research. The steps that are involved in writing a dissertation vary but there are certain basic and crucial elements that are common in most steps followed. A dissertation topic is to be chosen first. This topic has to go along with one's field of study and one has to have interest in that particular field. The gathering of literature then follows. This information has to be related to the topic and be contributory to the discipline. After the gathering of literature, one then has to prepare the proposal. After the approval of the proposal, one can plan on how the dissertation will be carried out giving self-specific deadlines and time frames. Unlike the ancient days, the present educational situation is rich with the refined technological gadgets and several sources of fundamental help. First and foremost, a tutor's assistance in dissertation writing is very crucial in saving time. Most of the time, students that will be writing dissertation will be professionalsor they will be having a casual job at the same time. This will prevent students from being able to research widely on their dissertations due to lack of ample time. Thus, this kind of assistance will assist students to have more time to their work without much disruptions.They will manage to meet their deadlines. In addition to that, having this kind of help will be of great advantage to a greater extent on the aspect of convenience. If a student has a tutor at his/ her disposal, it means that the student will be able to get assistance at any hour of the day and on any day of the week. Thisis will prevent pressure from building up in the life of the student and it will give him/her the opportunity to learn at his/her desired pace and time. Furthermore, as a tutor's assistance is a paid service, a student is most likely to obtain a high quality paper. Most of the tutors operate on a money-back guarantee system and therefore they will not be willing to part with the money already given to them. As a result, the tutors will put a lot of effort and research widely on the dissertations so that they are able to come up with high quality papers that will not only satisfy students but that will also create good reputations for them nationwide. Moreover, doing adequate research on a dissertation does not only require a lot of time, it also requires a considerable amount of money. These expenses are incurred in travelling to collect data and to do data analysis. By engaging a tutor, one will cut on expenses that would have been incurred. Engaging a tutor is much cheaper than having to research individually. When most, if not all, people complete their dissertations and submit them to their respective institutions, these documents are tested for plagiarism. With the assistance of a tutor, students can be definite that their dissertations are unique in their own ways and that there is no plagiarism associated. 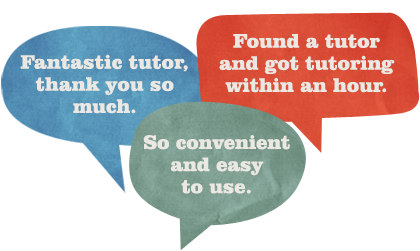 These tutors are equipped with special tools that they use to double check the completed work. This enables them to deliver work that is definitely free from plagiarism. In most instances, when the time comes for students to do their dissertations, they will not be ready for it and they will not be having any idea of where to start from. Engaging a tutor will help students in that they will have the chance of seeing how a good dissertation can be done.This will give them a better idea on what they should do in the future should they walk on the same career path or be faced with the same task. Although a tutor's assistance may cause some problems which include insecurity or incompatibility of the student and the teacher, this assistance is of great help to a greater extent. It is not only the academic aspect of the student that is catered for in this kind of help, but also the personal side of students. Therefore, obtaining a tutor's assistance is of great benefit.